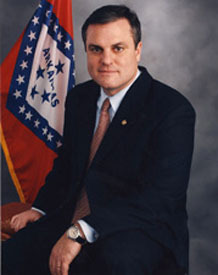 Attorney and son of long-time US Senator David Pryor elected to US Senate in 2002, succeeding Tim Hutchinson. Conservative Democrat; generally anti-abortion rights, pro-gun rights. Supported 2005 Central American Free Trade Agreement (CAFTA), 2006 Secure Fence Act, 2008 Wall Street bailout, 2009 economic stimulus, 2010 health care reform.